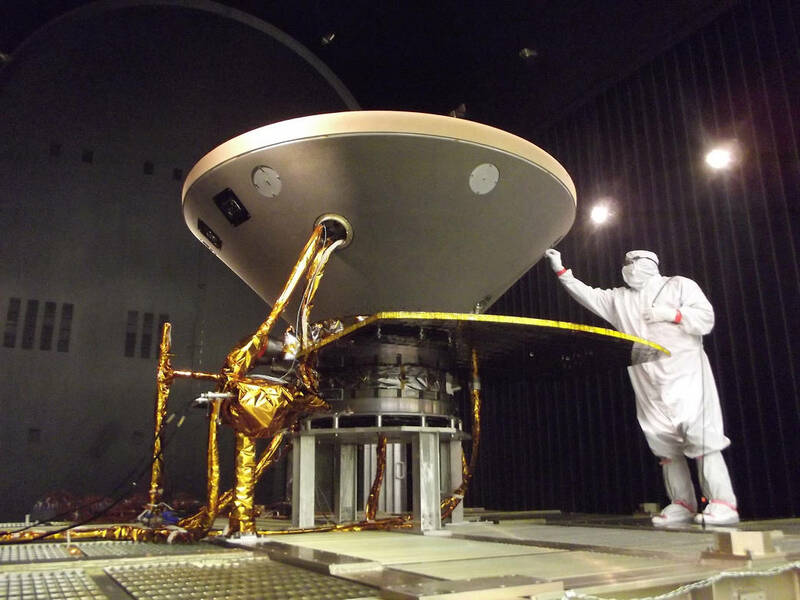 Originally intended to launch this week, the InSight mission is designed to probe the interior of Mars and detect seismic tremors after touching down in Elysium Planitia, a relatively flat, smooth plain near the Martian equator. But one of the lander’s two primary instruments — a French-built seismometer — was not ready in time for a launch window that opened March 4 and extended to March 30. The technical issue stemmed from recurring problems with a vacuum enclosure surrounding the seismometer’s sensitive detectors. A last-ditch effort to fix the problem and make the chamber airtight failed in December, prompting NASA officials to suspend preparations to launch InSight this year. 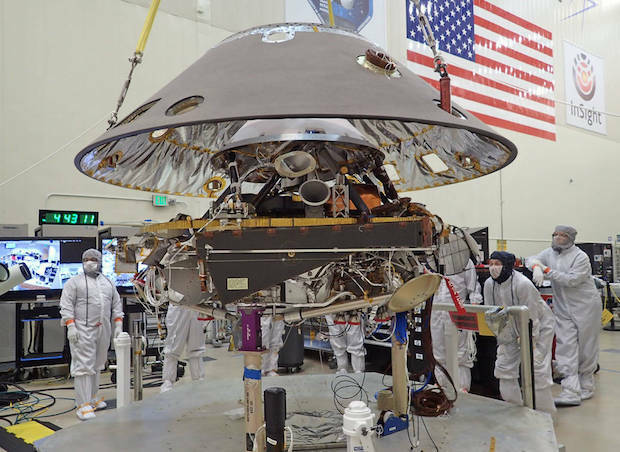 The other major components of the InSight mission, including the Lockheed Martin spacecraft, a German-built heat probe and a United Launch Alliance Atlas 5 launcher, were delivered to Vandenberg Air Force Base in California and ready for this month’s launch opportunity. 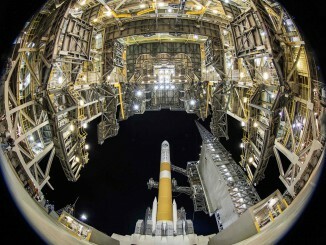 The InSight spacecraft has been returned to Lockheed Martin’s factory in Colorado, and ULA plans to use the Atlas 5 rocket originally assigned to the InSight mission for the September launch of the WorldView 4 Earth imaging satellite from Vandenberg. Launch windows for Mars missions occur every 26 months or so, when the planets are in the right positions in the solar systems to allow a direct shot from Earth to Mars. The options are attempting to resolve the problem with the seismometer’s vacuum chamber in time for a launch window in 2018, or canceling the InSight mission. InSight mission managers at NASA’s Jet Propulsion Laboratory submitted a new plan to NASA leadership March 1 to launch the spacecraft in the next Mars launch opportunity, which opens May 5, 2018. Green said officials at NASA Headquarters in Washington are now reviewing the plan. 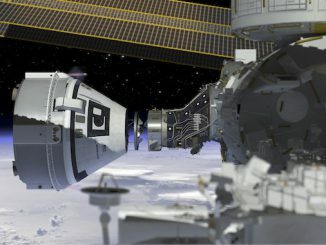 “We haven’t completed that process, but we are well on our way, and perhaps we’ll be able to announce what our next steps are for InSight within this next week or so,” Green said March 2. Bruce Banerdt, InSight’s principal investigator at JPL, said the project needs about $150 million to overcome the instrument problem and get ready for a May 2018 launch. Some of that money would have to come from other NASA programs, he said. The French space agency CNES, which is in charge of the seismometer contribution to InSight, has agreed to pay for its own additional labor costs stemming from the leak. 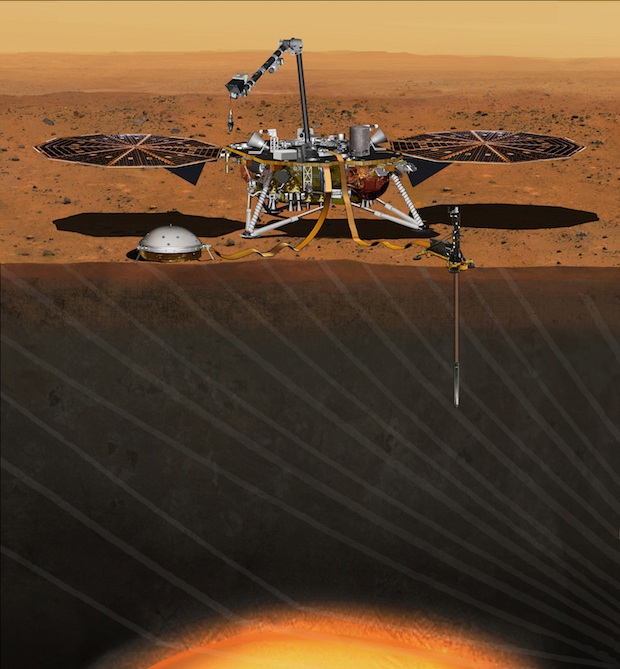 NASA approved the InSight mission in 2012, selecting the Mars lander over proposals to dispatch a floating scientific station to a hydrocarbon ocean on Saturn’s moon Titan and a probe to land on a comet. InSight is part of NASA’s Discovery program, a series of cost-constrained missions exploring the solar system. The Dawn mission currently at the dwarf planet Ceres, and the Messenger orbiter that surveyed Mercury from 2011 until last year are two examples of successful Discovery-class projects. As of December, NASA had spent $525 million on the InSight project, which has a cost cap of $675 million, a figure that includes the launch and mission operations on Mars. Extra funding for the InSight mission, if the launch goes ahead in 2018, could stand in the way of NASA’s plan to select up to two new interplanetary probes later this year for launches in 2021. Scientists have submitted proposals for the next Discovery-class solar system mission, and NASA picked five finalists last year for further scrutiny. In a change from previous practice with Discovery mission selections, the space agency says it could pick two of the five candidates to proceed toward launch. The finalists include two missions to Venus — an atmospheric entry probe and a radar-equipped orbiter — and three proposals to study asteroids. NASA officials say the agency’s budget may only allow for the selection of one of the candidate missions if InSight needs more funding to launch in 2018.